One way to stand out the grocery shelf: Food packaging updates and innovation! To a lot of people, that means football…and beer. 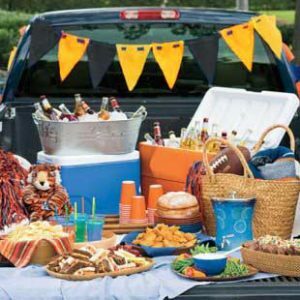 Big beer brands no doubt love this kind of thinking and make sure there are plenty of tailgate promotions and case friendly beer (& food packaging) in place to capitalize on bulk purchases. The generally accepted rule of thumb, known as the Pareto Principle, is that roughly 80% of the beer sold to 20% of the consumers. Knowing that, one would think beer brands shouldn’t have to work that hard to sell most of their product. But work hard they do because they know a large percentage (40% and up) of the market is not 100% brand loyal. Add that to wanting to grow the brand, and it is pretty clear that beer manufacturers are incentivized to get—and keep—the market’s attention. And since beer brand loyalty is mostly based on taste, the bigger brands such as Miller Lite, Heineken, Bud Light, Coors Light and others don’t really want to touch that (New Coke anyone?). What they do work hard at is packaging. Who doesn’t want to see the mountains turn blue on a chilled can of Coors? 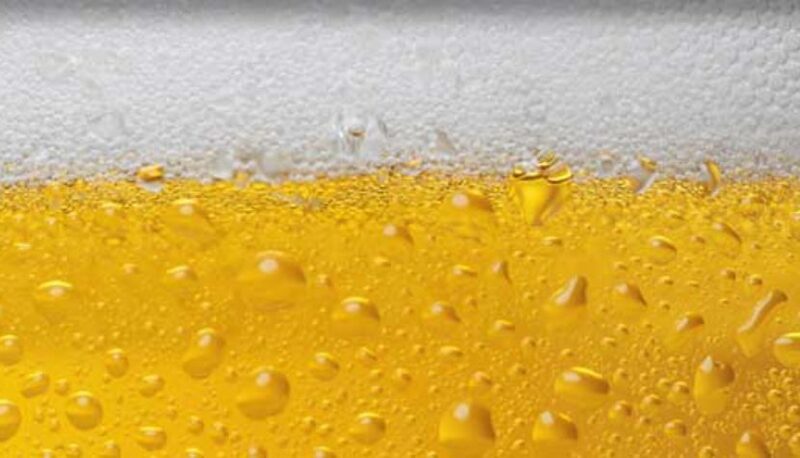 It is in this way that beer and food packaging innovation can look like a marketing campaign…an interactive marketing campaign that drives trial and, if done right, is built around the brand (cold blue mountains, anyone?) and helps distinguish the product in the marketplace. The core product does not change, but the messaging around it and the way the consumer interacts with it does in new (and sometimes fun) ways. Even though the Coors Light commercial that starts at the 1:00 mark is meant to be a humourous look at the seriousness beer manufacturers have for packaging development, I think it hits the nail on the head. It does a great job of showing just how important packaging is to beer brands. The “can scientist” then proclaims, “I can’t think of any possible way to improve this can.” Maybe he should spend some quality time on the couch looking for competitive beer commercials. The Punch Top can (Miller Lite). These were called “cannon balls” back in the day. Nothing like using the mass market stage to sell the ability to drink beer faster as innovation. Bowtie shaped can (Budweiser). I don’t think Miller or Coors are worried about this one. 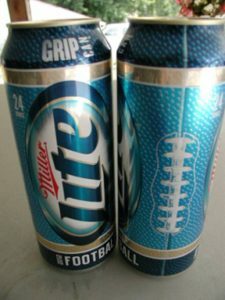 Grip can (Miller Lite). Now extra bumpy for a better grip on your beverage! The Write-On Label (Bud Light). According to the ad it was the latest innovation in social networking. The Vortex Bottle (Miller Lite). I wonder how this pitch sounded? Yes, spinning beer right down gullets is the next big thing! Ain’t technology neat? 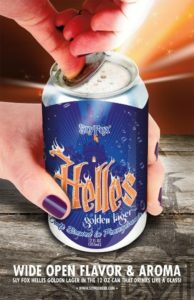 Removable-Lid Can (Sly Fox). Now we are getting to small brands—Who needs a Punch Top can? Pretty smart for a small brand. Open the can and have a glass of beer! CO2 Ball (Guinness). In my opinion, the best innovation in food packaging of value in this list. Seriously…it provides a CO2-like tap product from a can. In the same way that beer and food packaging innovation acts like a marketing campaign to sell the same beer in a new way, a campaign works to wrap the same products and/or services in a new message. A message tied to the core brand to distinguish the product in the marketplace. If done correctly, this will invite trial of the brand’s product or service, re-engage old customers and if it is really on-the-mark, excite the core loyal customer base. At NewPoint, we pay close attention to what is going on in the world of marketing and bring back the best to help grow NewPoint client’s businesses. Does this mean we’re going to recommend a vortex campaign for an NewPoint client? Probably not, unless of course, it fits the brand.